The opportunity to participate in events such as these is a TEA member benefit. They provide the chance to explore multiple attractions in a particular location, while spending time and networking with industry peers. They offer professional development and the chance to learn about new projects and trends, and a possible glimpse into the future of the industry. 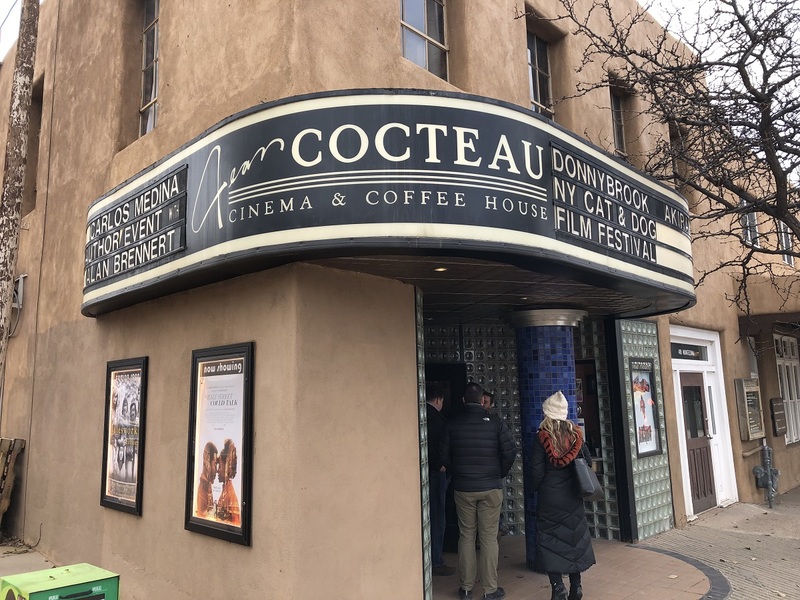 Over the span of two days, our group visited the Stagecoach Foundation, the Institute of American Indian Arts (IAIA), Jean Cocteau Cinema, Museum of Contemporary Native Arts (MoCNA), Meow Wolf and Site Santa Fe. Event sponsors: Huitt-Zollars and Hoplite. Article by Ryan Kremser of ThemeWorks, Inc. Photos for TEA by Greg Senner (Hoplite), Chuck Fawcett (Animax), Garrick Hansen (exp) and Lisa Schanley (Nassal). Click for more photos. The tour began with crisp mountain air and an introduction to the Stagecoach Foundation (top photo), a non-profit foundation established by renowned author, philanthropist, and Santa Fe resident, George R.R. Martin, best known for "Game of Thrones." The foundation’s purpose is to inspire talented rural and Native American youth in New Mexico, and connect them with opportunities in film, television, and other creative industries through workshops, trainings and educational programs. The foundation also works to attract film and television productions to Santa Fe. 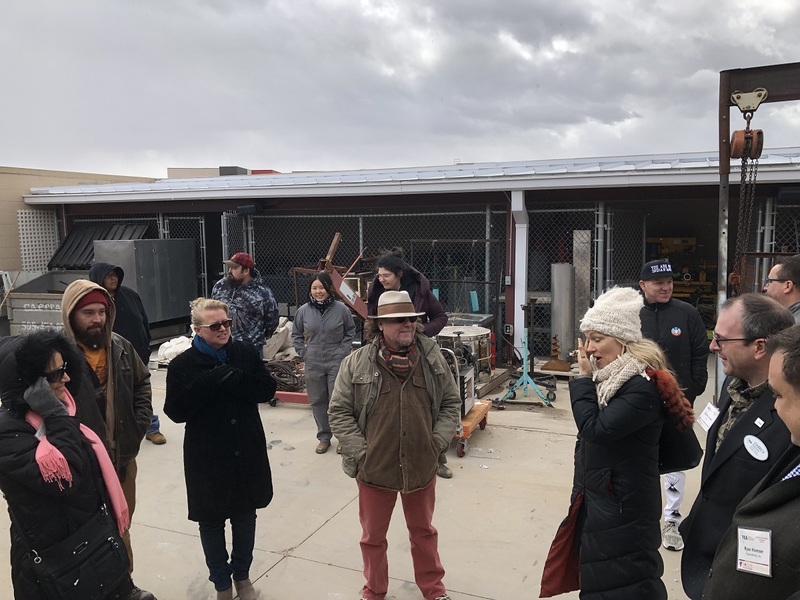 The TEA group toured the Foundation’s prop house, met the Foundation’s director, Dr. Elizabeth Kianu Stahmer, and learned about New Mexico’s booming film industry and the exciting things happening at Stagecoach. The next stop on the tour was the campus of the Institute for American Indian Arts (IAIA). Originally established by the Bureau of Indian Affairs in 1962, IAIA became one of only three congressionally chartered colleges in the United States in 1986. IAIA focuses on the study, preservation, and further development of Native American language, literature, oral traditions, and the visual and performing arts. Today the institute offers both undergraduate and graduate degrees and attracts students from across the country and around the world. Many IAIA students come from tribal communities and are the first in their family to see college as a realistic option. While touring the college’s art studios, the group met several talented student artists and got to hear the amazing stories behind their art. Zsolt Hormay, Vice President Creative at Walt Disney Imagineering, connected with our group at this venue. 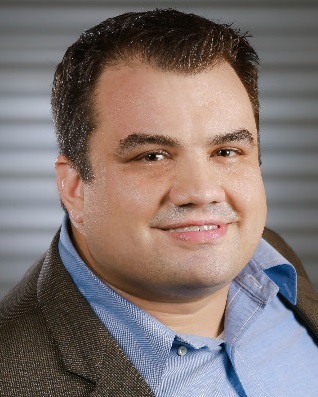 He has worked with IAIA to develop classes that teach students many of the hands-on techniques that are used to craft immersive environments in the parks. Several students in this program have already completed internships with WDI. The afternoon of our first day commenced with a tour of the Jean Cocteau Cinema. 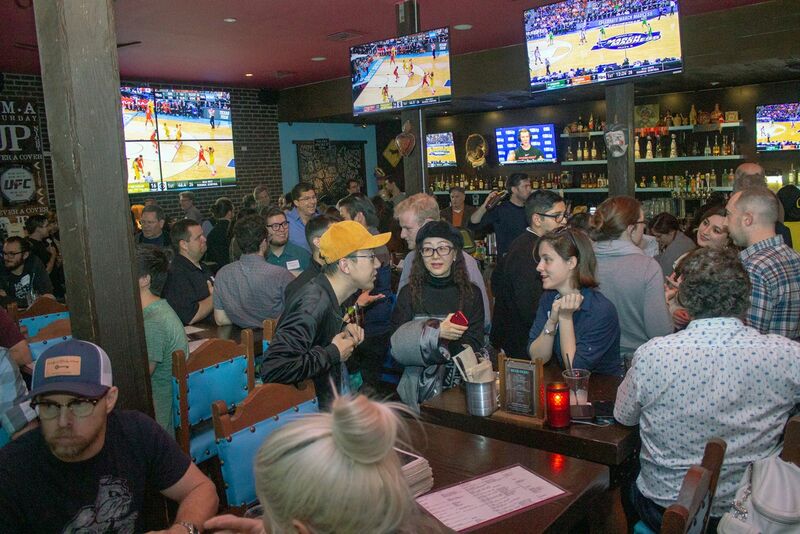 After closing in 2006, this beloved indie movie theater was purchased, renovated, and re-opened by George R. R. Martin. In addition to films, the theater now hosts community events, author talks, musical performances, art exhibitions, and even magic and variety shows from around the world. The tour included a talk about the restoration and reopening of the historic theater, a Q & A session, "Game of Thrones" themed drinks from the bar, and of course, a little popcorn. The first day of our tour ended at the Museum of Contemporary Native Arts housed in the historic Santa Fe Federal Building and operated by IAIA. The museum showcases contemporary art from noted Native artists across North America, as well as students and alumni of IAIA. 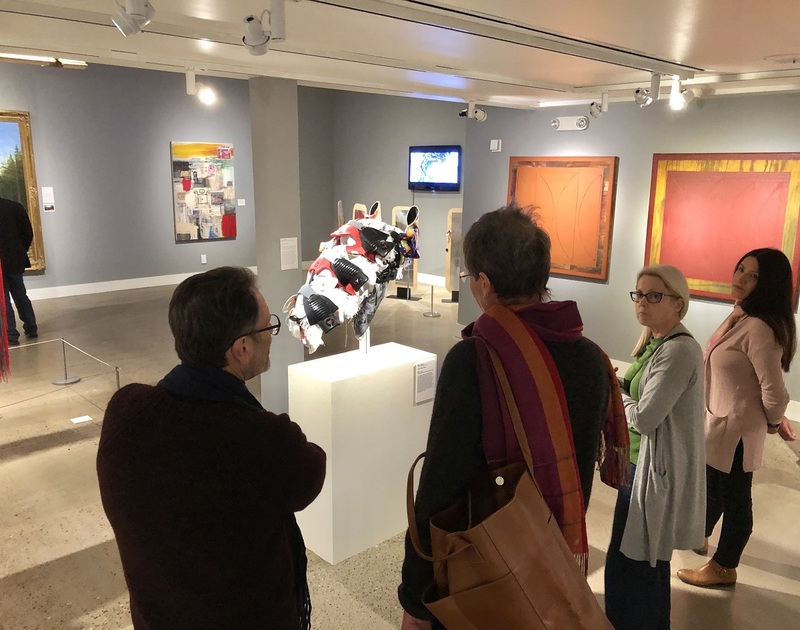 The group was treated to a guided tour through the museum that highlighted some of the emotional, joyous, painful, irreverent, and even humorous stories that are told by works of art currently on display. 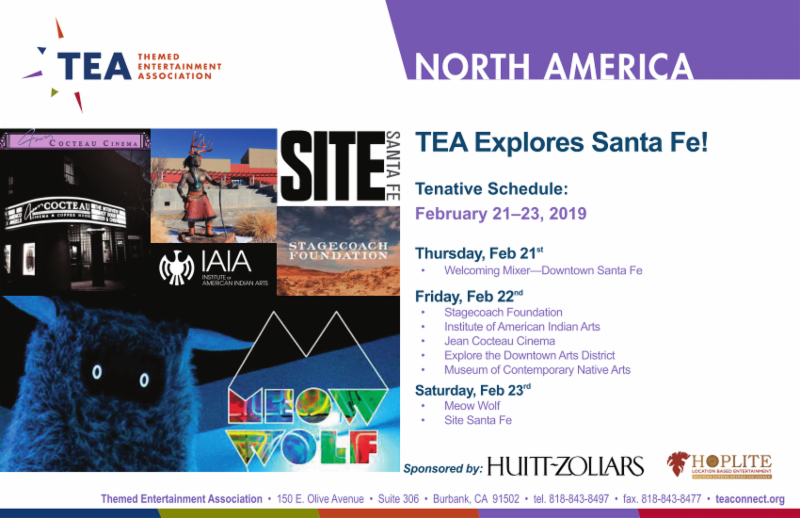 Our second day began with a visit to the recipient of a 2017 TEA Thea Award for Outstanding Achievement (in the category of Connected Immersion), Meow Wolf House of Eternal Return. 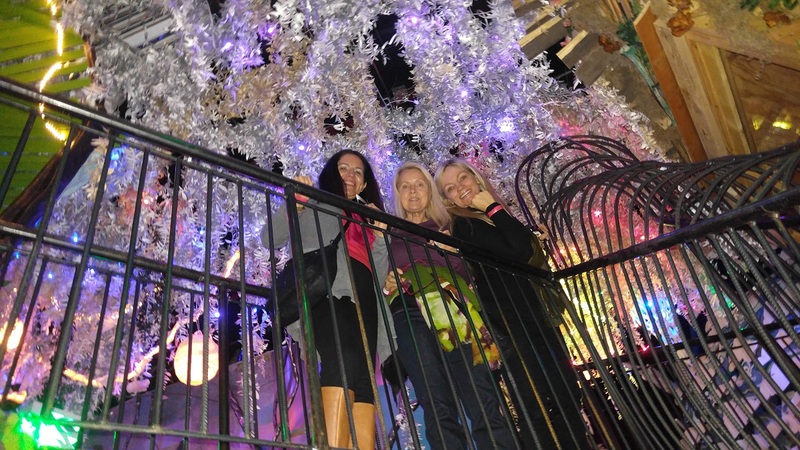 It has been described as the combination of a jungle gym, haunted house, children’s museum, and immersive art exhibit. Meow Wolf is seen as pioneering a model for reinventing location-based attractions through non-linear storytelling, technology-infused interactivity, and multimedia hands-on art. Jeffrey Fullerton, Strategy & Development Manager at Meow Wolf took the group on a behind-the-scenes tour and talked about the history and future of Meow Wolf. In addition to Meow Wolf’s House of Eternal Return attraction, the group toured Meow Wolf’s main production facility and got a sneak peek at some of their coming attractions. Site Santa Fe is a contemporary art museum. Based on the Biennial model of exhibition, Site Santa Fe has built an international reputation for experimental and innovative curatorial approaches. 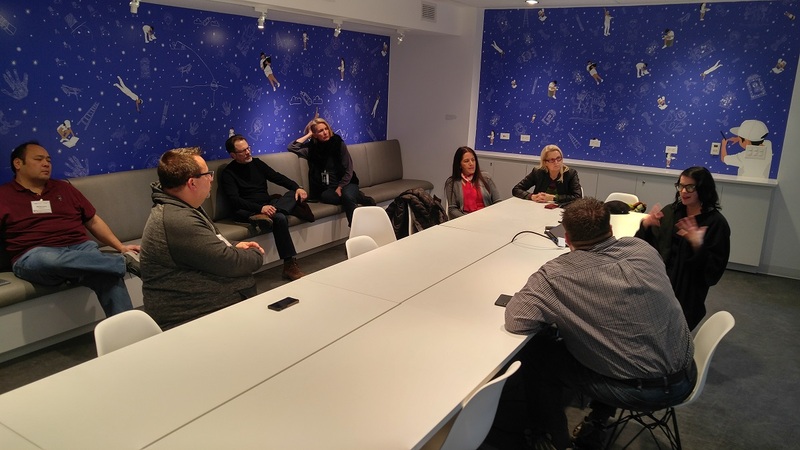 During our visit we met the museum’s Director and Chief Curator, Irene Hofmann, and learned about the current exhibit as well as the museum's recently completed renovation and expansion project. Effusive thanks to all who made this unique event possible, including organizers and volunteers within TEA and the TEA Eastern Division, the host venues and their spokespeople, the participants, TEA staff and event sponsors Huitt-Zollars and Hoplite.